Forging towards the goal of producing a high quality and afforable printer, Epson has recently came out with their latest Epson L1800 printer that adopts their Ink Tank System technology. Coupled with their advanced “Micro Piezo” advanced print head technology, we are going to expect a lot from the new Epson L1800 printer. Will it be the printer of choice that prints high quality photos and documents but yet remain highly affordable? I realised that some printer manufacturers are selling their printers at dirt cheap price, “cheating” users to adopt these machines and then locking them in by selling them ink refills that are unreasonably expensive. Such practices are common with different brands in the market, and many consumers actually bought the idea. As a consumer, I would want to pay for what they get. I would not mind paying for good quality printers if I know that their ink refills are still affordable. It makes more sense for a “long term investment” in such printers. Thanks to Epson’s Ink Tank System technology, the series of printers fit into those requirements of affordability and quality perfectly. With the new Ink Tank System from Epson, each coloured ink is divided into their individual ink compartments. This means that you will only have to fill up the ink of the colour that ran out of instead of replacing a whole colour catridge that comprises of all colours. Besides, as the same ink is used throughout all Ink Tank System printers, manufacturing then became a lot cheaper. This has made the refill bottles more effective and affordable than the usual ink cartridges. Ink Tank System also ensures that you save up money as you get only what you need. For example, if the user prints more document, it will be understood that the black ink faster will run out quickly. He can preempt to buy more black ink just in case they run out, rather than buying different costly ink cartridges. L1800 printer is one of its kind as it is able to print photos of up to A3+ size. This made it possible for shops to purchase this printer for their photo printing services. Of course, many other photo sizes are still supported. 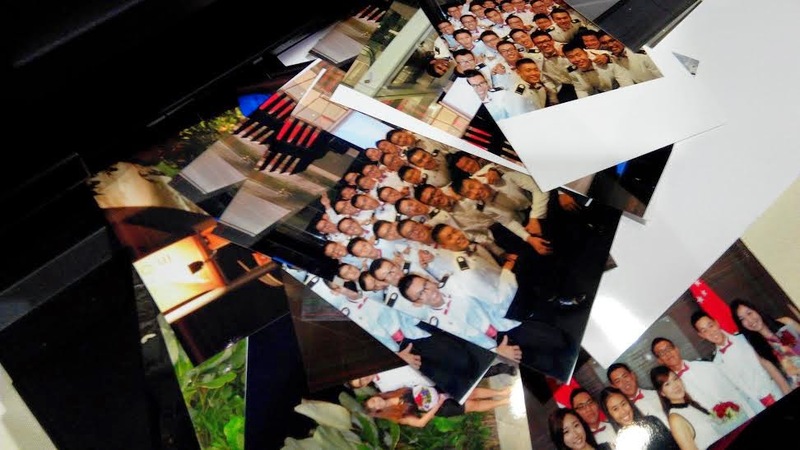 Depending on the type of photo paper used, the feel of each photo may vary, but the quality of each photo is going to remain consistently high throughout. The L1800 is an ace for all types of printing. It works well for documents, pictures and especially photos. A3? A4? A5? A6? 4R? 5R? Any paper size below A3+ is supported by the Epson L1800 printer. 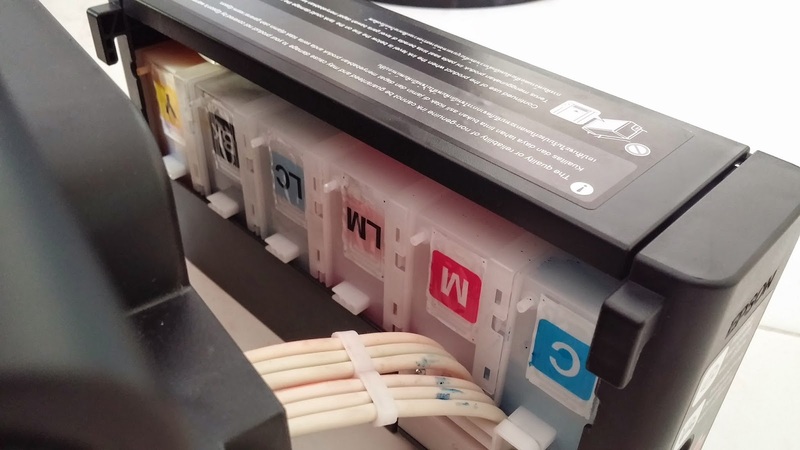 The printer has a ledge that holds on the any paper firmly to prevent any paper jam. More importantly, all photos look exceptionally great as the Epson L1800 has the ability to print borderless photos. Not many printers support this feature. 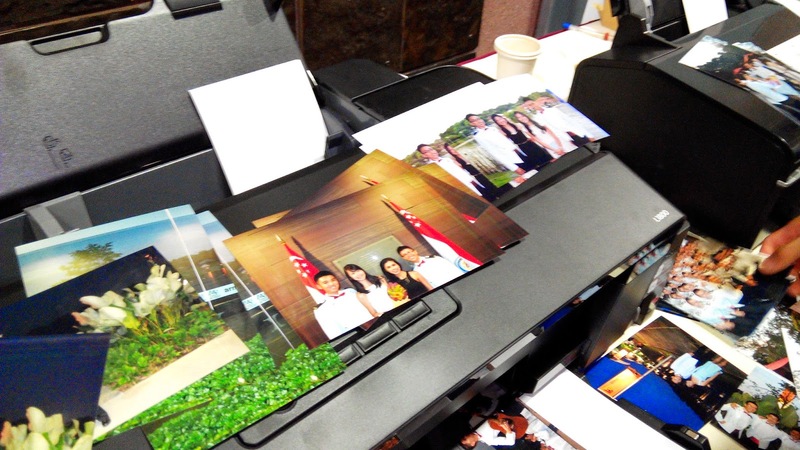 Consumers can finally have the right gear to print photos from home at an affordable rate. 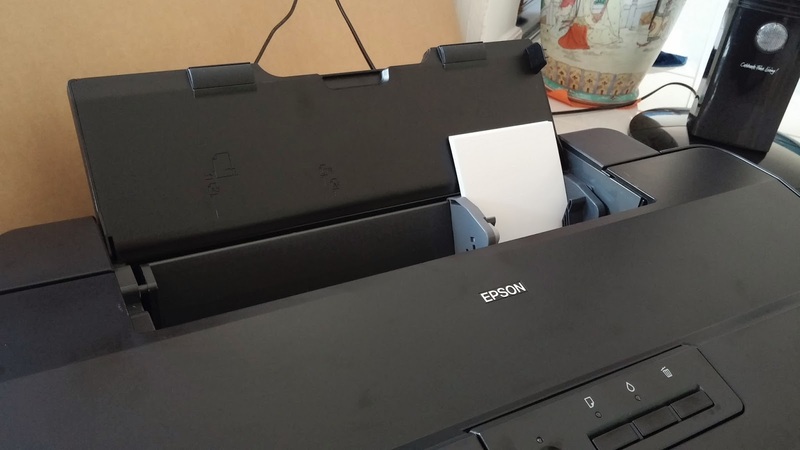 I really love Epson printers for their usability. Consumers are able operate the printers with ease without fear of breaking the machine. Installation is also a breeze with the driver CD that comes with it. As seen on the image above, the whole printer only has these 4 simple and straightforward buttons. 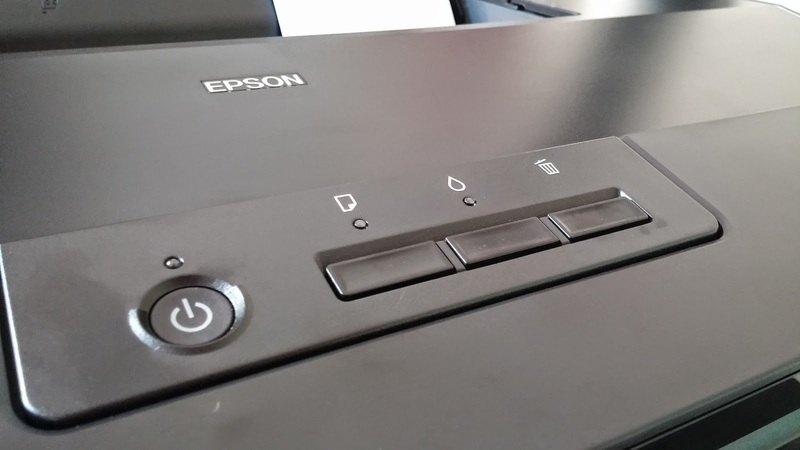 From the left, the power button powers on/off the device (duh..), the paper button takes in paper when the printer is out of printer, ink button charges ink when the printer is out of ink and the rubbish bin cancels the current print job. In fact, all these buttons are self explanatory.. The Epson software on the PC is also very user friendly. All errors will be shown on the windows above, and adequate troubleshoots will be suggested. All settings and quick functions can be access with a right click at the icon of the printer at the taskbar. Well categorized and organized buttons and functions are also placed in the window for easy access. This is one of the best user oriented control panel for the printer that I’ve seen to date. Epson decided to make use of Windows forms for their presentation of the control panel as people are the most used to it. Such forms have been used since Epson’s firsts consumer targeted printers. Familiarity of such forms makes all previous Epson printer owners contented as they will not need to relearn the whole interface to operate the printer. No printer can be judged just by looking at its specifications. They have to be put to the test by carrying out loads of print job. In an local event held, I tested out the Epson L1800 pleasantly impressed by performance and quality of the photographs printed out. (For more information of the event and Epson printers used, visit here.) 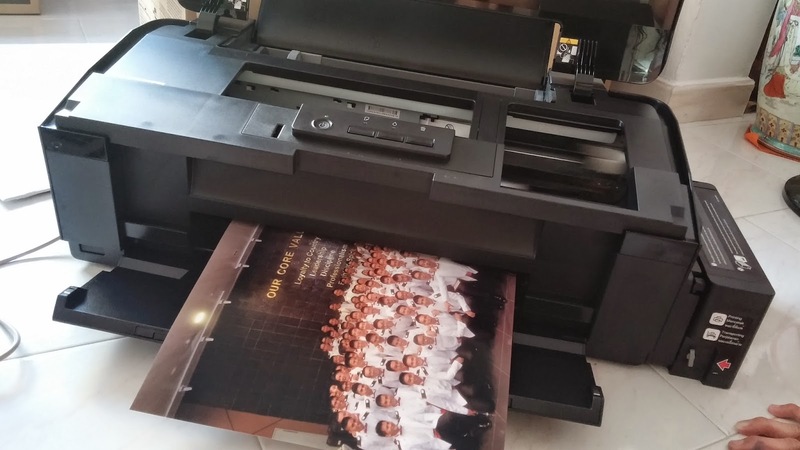 During a course of 4 hours, Epson L1800 printed at least 200 photographs and no refill of ink was needed. This shown how economical the printer will be thanks to its efficient use of ink. The Epson L1800 was part of the success of the instant photo booth deployed at the event and many saw the potential of such machine being placed at home or their office. The Epson L1800 is a simple printer that does what it does best – printing. With the new Epson Ink Tank System technology, it has made the L1800 one of the most affordable and power packed printer in the market, targeted towards home, office and professional SME use. printer that i economical for doing book brochure printing business at small scale?